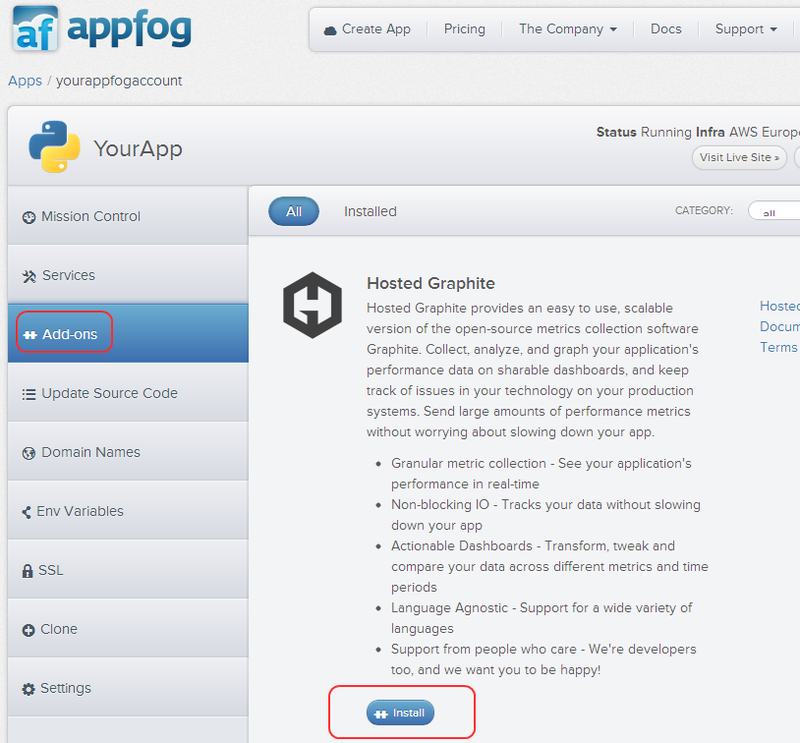 Hosted Graphite provides a AppFog add-on! Installing the add-on is simple - Open your app, select Add-ons, scroll to Hosted Graphite and click Install. That’s it! You can now begin to send metric messages (see: The Metric Data Format) to Hosted Graphite from your application.